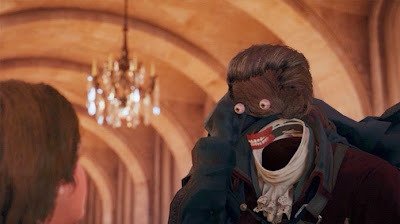 Assassin's Creed Unity was criticized at launch due to various technical defects that presented and the Ubisoft will offer rewards as excuses. Players who purchased the title will receive the Dead Kings by campaign DLC automatically and those who also purchased the Season Pass may redeem a free game until March 15, 2015. Here's how to get your free game. Step 1: visit the official website for bonus redemption Assassin's Creed Unity until March 15, 2015. Step 2: Select the platform on which you bought Assassin's Creed Unity: One Xbox, PlayStation 4 or PC. Step 3: Sign in through Xbox Live, PlayStation Network or Uplay depending on your platform. Step 4: Select the list of games offered by Ubisoft. Step 5: Confirm your choice and enjoy your extra game while Assassin's Creed Unity is being repaired by updates.